The book explores the Packers history of successful signal-callers, highlighting Bart Starr’s Super Bowl victories, Brett Favre’s collection of NFL records, and Aaron Rodgers’ ascent into becoming one of the best players in today’s NFL. Here’s a couple questions with Rob about the book and what prompted him to write it. 1. How much research did you go into the book – how long did it take to write? A: It would be tough to calculate the hours. I grew up on Packer football and have covered the team since 2001. So it’s all of those experiences, combined with many, many hours of conversations with the three main subjects in the book. That gave me the foundation to begin writing the book. From there, I just pounded away on my keyboard for a few months and hopefully produced a book Packer Nation will enjoy. 2. In determining the Packers as the best QB trio in NFL history, where you surprised in that finding? A: Not really. The folks at Triumph books and myself were knocking around book ideas a couple of summers back and this one really jumped out. Maybe what surprised me most is the gap between Green Bay and the rest of the teams. While several teams have had two great quarterbacks, not many have had three. You can make the case some teams like San Francisco and Pittsburgh might be ahead of Green Bay if it’s just 2-on-2. But when you go 3-on-3, it’s a runaway for Green Bay. 3. How close did you determine that Young, Tittle and Montana were to the Packers trio in your findings? A: Well, it’s certainly the second-best trio of all-time. And I would argue that Starr-Favre vs. Montana-Young is probably a coin flip. You could certainly campaign for either side and have a pretty strong case. But again, the gap between Green Bay’s #3 (probably Rodgers) and San Francisco’s No. 3 (Tittle) is cavernous. What tipped the scales in Green Bay’s favor in many of these 3-on-3 debates is just how much better the Packers’ third QB is compared to anyone else’s. 4. 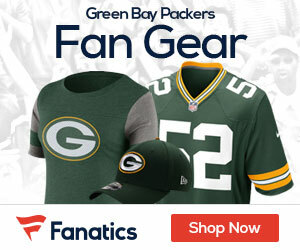 You talk about how special it is to be a QB of the Packers, almost like being a LB in Pittsburgh – do you find it amazing that Starr was a 17th round pick, and Favre was an afterthought in Atlanta before coming to the Pack? Rodgers was the only really highly profiled QB of the three, and he had to wait his turn before he got it when the team traded Favre. It is remarkable. It proves you have to be both good and lucky. Clearly, no one in Green Bay ever thought Bart Starr would become an all-time great. Aaron Rodgers was bypassed by 21 teams in the draft. While Ted Thompson had the courage and foresight to select Rodgers, he was also fortunate to have a player like that fall into his lap. And if it wasn’t for the persistence and determination of Ron Wolf, Brett Favre never becomes a Packer. So in many ways, Green Bay was somewhat lucky to acquire all three players — and even more fortunate that all three worked out. 5. In your writing and research, any fun fact or facts that you were simply blown away at? A few. Talking in depth with Ron Wolf, I loved hearing all the details that went into the Favre trade. This wasn’t an easy transaction. There were months of conversations and Wolf never gave up on his man. I asked Wolf what would he have done if Atlanta refused to trade Favre, and he said “What if the queen had balls?” That was Wolf as his best. Honest. Direct. Witty. The level that Bart Starr’s father drove him and pushed him was fascinating. It made playing for Lombardi seem like no big deal to Starr because his Dad was even more intense. And with Rodgers, I was reminded how close he was to quitting football after high school. Rodgers could have chosen any profession he wanted — and probably been a star. He was tempted on several occasions to give up on his dream, but never relented. All of those were pretty interesting to me. 6. 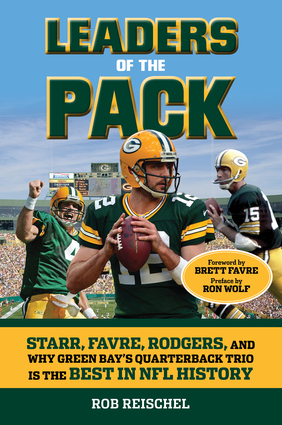 How special is it to have Ron Wolf and Brett Favre as part of the book? Amazing, and I’m deeply indebted to both men for their help with the project. The rise of the Packers these last 25 years doesn’t happen without Favre and Wolf. So for the readers to get insights and stories from these two living legends is pretty special. Having both men share their time and many of those stories with me — and the readers — was pretty cool. Congratulations on your book. Another new piece of Packers Literature is “Green & Gold Memories – Growing up in Vince Lombardi’s Green Bay” on Amazon. Great reviews and a great holiday gift for the Packer fan(s) in your life.